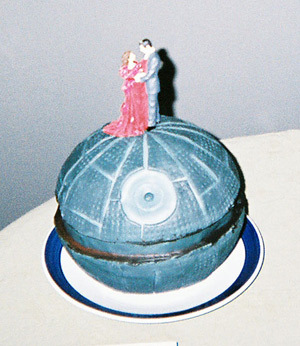 There’s a ton of Death Star cakes on flickr. This particular cake is striking because of the gi-normous couple happily standing atop the planet of destruction. Hey romance can happen even on the Death Star.